I made this list a while back, but I was looking back over my site recently and I’m not ashamed to say this, but I did not spend nearly enough time on this list. So I’ve re-watched some movies, watched some new ones, re-evaluated my thoughts and I’ve decided to re write this list. This list consists of ten of the greatest minds and artists of our time. I’m proud to give them my money every time I hear their name attached to a movie and especially when their name is on the director’s chair. Along with the name of the director I’ve also included a description of exactly why they’re on this list and also my three favorite movies in order by said director. It was one of the most difficult lists I’ve had to make, but one I believe all movie critics should divulge their time in creating. 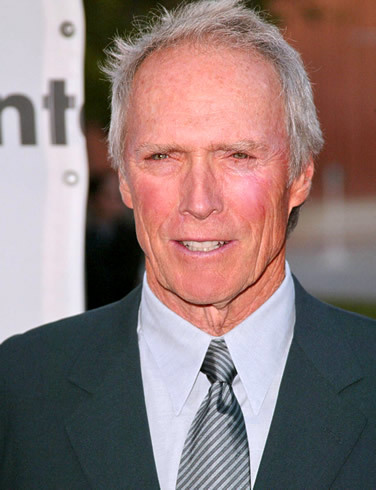 Many people know and love Eastwood for his acting, which he does triumph in, but in my opinion his true genius lies behind the camera. He almost never disappoints and is my favorite director in the western genre. After making his masterpiece Unforgiven, he showed that he surpasses even his large influence Sergio Leone. He takes his craft seriously and he excels in it. It’s unbelievable that I’m forced to put a director as spectacular as Francis Ford Coppola in this slot. His films clearly speak for themselves. 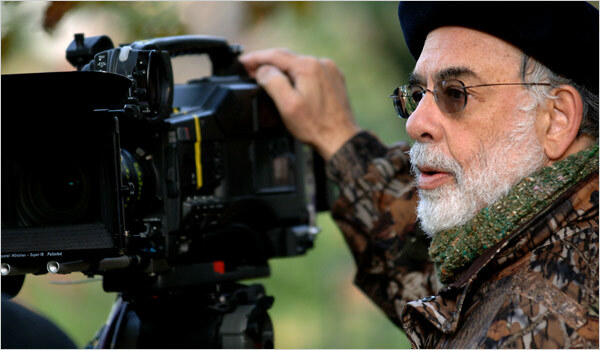 Coppola has a certain way about him that makes all of his films so utterly epic and breath-taking. The Godfather is considered to be, by many, one of the greatest films in movie history and even though I enjoy has Vietnam masterpiece more, it’s completely obvious why, it was directed by one of the greatest artists ever. Like all truly great directors, Danny Boyle has managed to establish a clear and brilliant style, while telling different tales and expressing completely different ideas. Danny Boyle always manages to find his own way in telling a story and the stories he chooses to tell are always undeniably memorable. He puts so much unflinching feeling in every one of his films and as a result I find myself feeling for all of the characters he establishes. 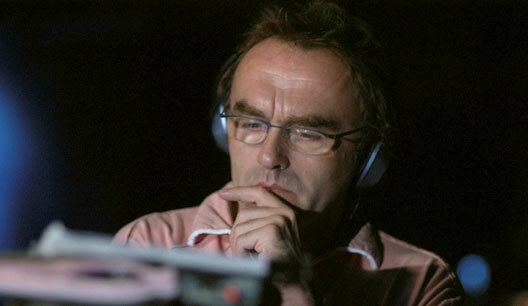 Danny Boyle is truly a man who knows his trade and performs expertly. David Fincher has really become a powerhouse of utter genius. There’s no arguing that he really is one of the greatest film directors not just working today, but of all time. He defined a generation with his masterpiece in 1999 and over ten years later he does the exact same thing for another generation. He also never ceases to amaze with other films, whether its Zodiac or even The Curious Case of Benjamin Button. David Fincher really is a true master of a gneration and of his craft and his expertise cannot be doubted. The hardest part in creating this list was attempting to order this top 6. Each in my opinion is worthy of the number one spot, but I had to figure out an order. It really saddens me that I had to put the incredible director Martin Scorsese this low on the list, but I can’t let everyone win. Martin Scorsese is undoubtedly a creator of modern masterpieces. No one makes films like him and very few make films as good as he does. Martin Scorsese didn’t invent the beautiful art of filmmaking, but being the genius he is, he sure perfected it. 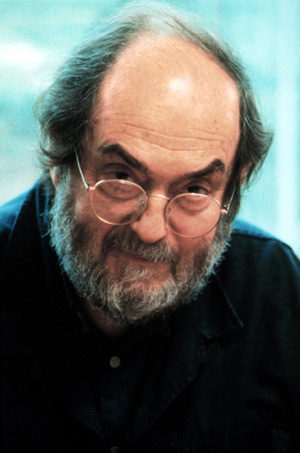 Stanley Kubrick is all around one of the greatest directors of all time, mainly because he has more innovation and variety than any other filmmaker. He’s really done it all. He’s made horror movies, war movies, dramas, science-fiction, romance, heist movies, even comedies, and I could go on. Each one of his films are worth watching and making opinions on. You will find at least one that you will thoroughly enjoy. Or you might just be exactly like me and notice that every single movie the genius made was truly and relentlessly brilliant. 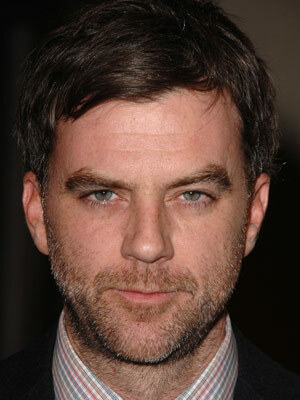 There is something truly miraculous about Paul Thomas Anderson in the way he makes each of his films completely special and prominent, while sticking with his keen directorial style. Each of his movies are so big and not because most of them are longer than the average film, but because all of his films touch on so many themes and emotions while never ceasing to entertain. He’s only got five films under his belt and he can already be considered one of the greatest directors known to film. I just can’t wait to see what he does next. Through the years Quentin Tarantino has always stuck out as one of the greatest directors of all time. He began his illustrious career with the fantastically unique heist flick Reservoir Dogs, then he showed us what he can really do by directing one of the greatest movies of all time, Pulp Fiction. Time passed and he directed the spectacles that were Jackie Brown, Kill Bill and Death Proof. Every single one is fantastic. He then showed me that he is one of the greatest artists not only working today, but of all time with the release of Inglourious Basterds. Pulp Fiction is one of the greatest movies of all time and I didn’t think for a second that Tarantino would ever be able o top that. I was wrong. He did and he did it with flying colors and flare. I love all of Tarantino’s work and I don’t believe I will ever find myself being disappointed by a movie he directs. He has fun with every movie he makes. He loves what he does and as a result I love and have fun with every single masterpiece he comes up with. Their movies really speak for themselves, there’s not much I can really say. The industry wouldn’t be the same without them. They are a monumental force releasing masterpiece after masterpiece. Its really impossible to ever be disappointed with a Coen Brother movie. They make films exactly how they want to make films, they let nothing hold them back like money or popularity. They make art for the sake of making art. They’ve made more masterpieces than one would think possible. They absolutely never let you down. They are the smartest people working in the industry by far. I honestly want to shed a tear of joy with every ending of each of their movies because it seems almost impossible that the same two people can keep making masterpieces without fail for this long. The best part about it is also that The Coen Brothers still have a lot more masterpieces to go and that fact makes me happy to be alive. Christopher Nolan isn’t in the movie business, he’s in the masterpiece business. He just oozes brilliance and all he has the ability to make is flawless films. No shot, performance, or second is lacking in perfection. He tells gargantuan stories that end up being nothing short of magnificent. Even my least favorite Nolan film, Insomnia, I find just incredible. Don’t even me started on movies I couldn’t live without such as his dark tale of obsession and rivalry The Prestige, or the independent masterpiece that put him on the map Memento, or even the always enthralling and unbelievably extraordinary Inception. There’s something special, almost magical, that Nolan manages to instill in every single brush stroke in the beautiful art he creates. One of the main reasons I consider Christopher Nolan one of my heroes and the greatest director/artist of all time is because he is the man responsible for my favorite story ever told. The Dark Knight Legend (or Trilogy if that tastes better going down) is and always will be nothing short of the greatest movie ever created. I love every character and event as they add to the perfection of it all. It wasn’t a hard decision to make, but Christopher Nolan is the greatest director in all of film. W. is a fantastic movie about the life and times of our infamous 43rd president, George W. Bush. The movie was actually much better than I thought it would be. I thought it would be a very liberal movie that just makes fun of Bush the whole time, but it really wasn’t. It actually told the whole story and allows you to decide for yourself whether or not Bush was a good president. Just like JFK allows us to look at the facts and decide for ourselves whether or not Kennedy was killed by just Oswald or multiple people. The movie kept your attention throughout with a few jokes thrown in. That was the thing, jokes were just thrown in at times throughout this actual serious movie. I thought was just going to be a comedy, but it was more of a serious drama with a lot of comedic relief and I loved it. 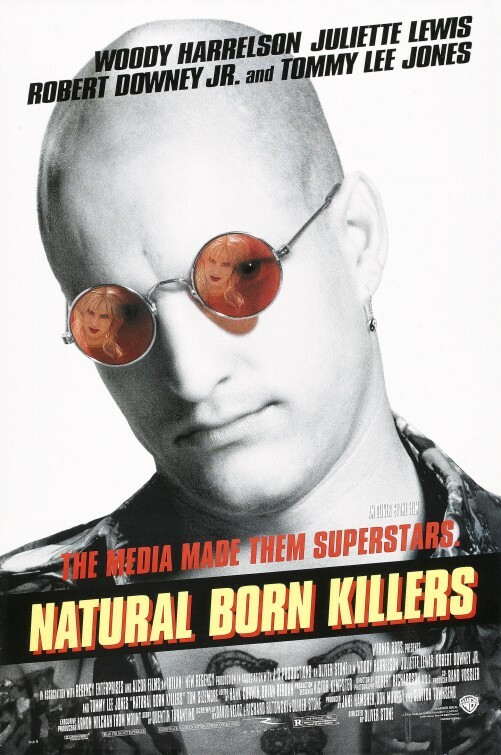 The movie had classic Oliver Stone direction, which is amazing at all times. The way he directs, he can turn the littlest thing into something exciting. The acting was fantastic by all especially Josh Brolin and Richard Dreyfuss, they were perfect for their parts, Brolin really made me think he was Bush at times and Dreyfuss was just hilarious throughout. If your a fan of Oliver Stone you should see this movie. Its a funny drama that keeps you interested because it actually pertains to your life after the movie. It’s not a movie that’s hysterically laugh out loud funny that you thought it might be from the trailers, but it does have a lot of funny moments. What it is, is a drama that makes you think throughout and laugh at random times during. Don’t miss the chance to see this movie just because you actually like Bush. It’s not trying to change your mind, it’s just telling a story.